When it comes to transforming the look of your home or business there are few options that match the beauty and richness of hardwood flooring. This classic home renovation addition is full of bold hues and grains, which allows your new hardwood floor to radiate light and add immediate style to your home. There is a reason why hardwood floors are one of the most popular flooring options available and it has just as much to do with the look of these floors as it does to the fact that homeowners know these durable floors will last for many years to come. When you are searching for an attractive and durable flooring option for your home, you should consider the hardwood flooring available at our flooring store. We offer a huge selection of beautiful floors that are always in style so you can find that perfect addition to your home or business. Whether you want light or dark colors, our line of hardwood floors has something for everyone. With different textures and patterns available, each and every type of hardwood we sell has its own distinct look that is sure to catch your eye as well as the attention of anybody who visits your home after it is installed. A superior type of flooring, hardwood works well in almost any type of room in almost any style of home. 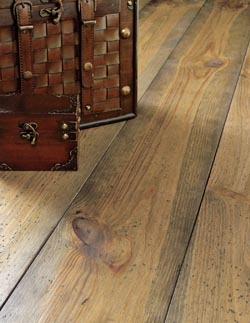 Since it is available in multiple types of woods, it also goes with a variety of decorating styles. Use your new hardwood flooring in the den, living room, bedroom, basement, or any other place you think needs an aesthetic boost. The options are endless when you go with the timelessness of hardwood flooring. Constructed to last, hardwood flooring is a durable flooring choice that will stand up to the daily grind and will last you for years to come with proper maintenance and care. This flooring is also a fantastic choice for those who suffer from allergies since it doesn’t allow pollen, dander, and other allergens to embed like some of the other flooring options out there. Just follow the manufacturer’s instructions for mopping and watch as your floor becomes like new again. Once you have made the decision to have solid hardwood flooring installed in your home, you are also making an investment you should be able to depend upon. The key to the success of this investment is to ensure that your brand-new hardwood floor is properly installed by a trained and licensed professional. Why? It is because if you leave the installation of your new floor to an amateur you could end up with a floor with a number of both functional and aesthetic issues. That means more money out of your pocket to fix the errors or, sometimes, even to have to buy all of the materials over again and start from scratch. All of the hassles that come with working with an amateur installer will quickly erase any perceived savings you might have thought you would receive, especially once you see just how affordable our hardwood floor installation services are when compared to our competition. Our team knows how excited you are about your new hardwood floor, we were there when you picked it out, which means we have an invested interest in ensuring your new floor looks as great in your home as it did in our showroom. Our flooring experts perform affordable work that is finished the right way the very first time so you don’t have to worry about extra expenses or and devalued investment. Contact us when you are looking for the very best in hardwood flooring products and installation services. Our team is proud to provide beautiful hardwood floors to customers located throughout the communities of Syracuse, Fayetteville, Manlius, Skaneateles, and Cicero, New York, as well as the surrounding areas.